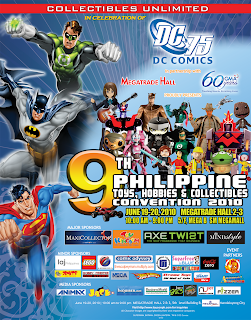 I just recently got this information regarding the 9th Philippine Toys, Hobbies, and Collectibles Convention 2010. It will happen on June 19-20 (Saturday and Sunday) from 10AM - 10PM and will be held in Megatrade Hall 2-3 and Megamall Event Center in Bldg. A. This event will coincide with 75th Anniversary of DC Comics. I already heard that Khanto will be attending the the whole weekend event. I know him to be an avid toy collector. Another friend of mine will be attending with his Kamen Rider costume and will be with the other cosplayers that will grace the event. This event will also feature the autograph signing of Otacool 2 Worldwide Cosplayer. It is a cosplayer book published in Japan featuring Alodia and Ashley Gosiengfiao, Monique Dimanlig and Jessica Ouano. All 4 Philippine cosplayer will be there for the book signing. I will be there to take photos of the event and costumes that will be featured. I might also check some of the toys that will be exhibited. 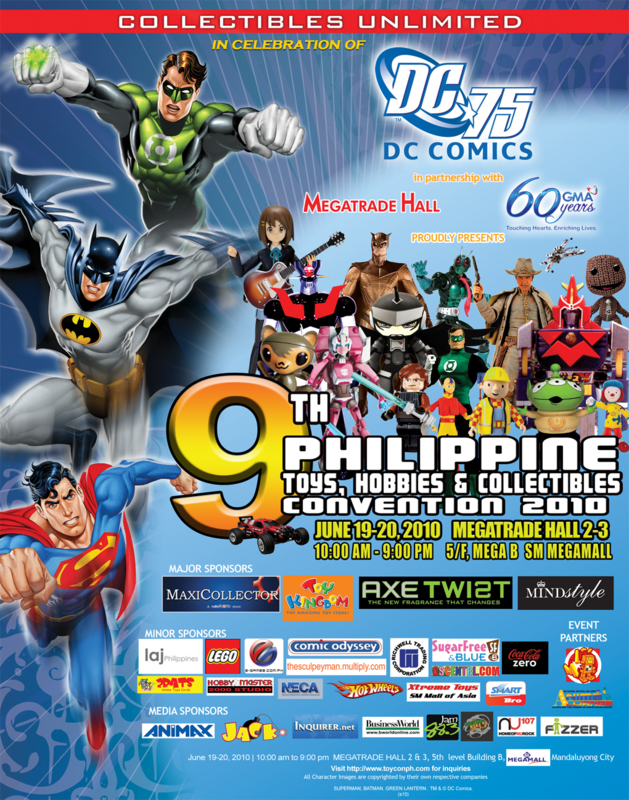 You may visit http://www.toyconph.com/ for more details. See you there! bibili ako ng laruan at chikara hats!